One day I will write in a little more detail about this really magical place. This appeared in the Daily Telegraph this morning. 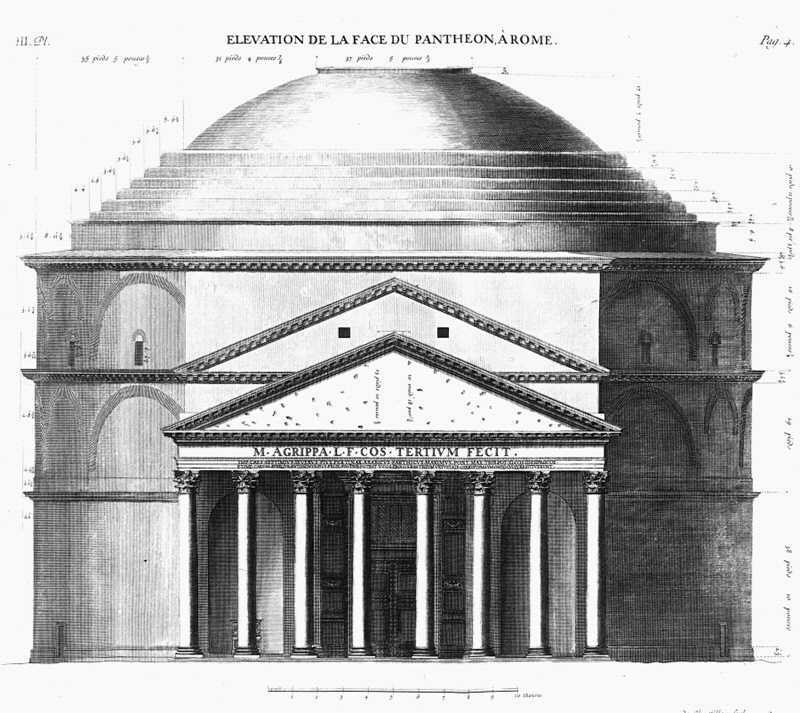 Constructed on Hadrian’s orders and completed in AD128, the Pantheon’s hemispherical dome is punctured by a 30ft-wide circular hole known as the ‘oculus’. It provides the interior of the building with its only source of natural light and allows in rain and – on rare occasions – snow. 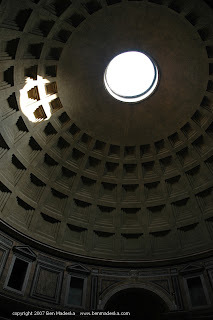 Giulio Magli, a historian of ancient architecture from Milan Polytechnic,Italy, and Robert Hannah, a classics scholar from the University of Otago in New Zealand, have discovered that at precisely midday during the March equinox, a circular shaft of light shines through the oculus and illuminates the Pantheon’s imposing entrance. This is a really great article about a curious wonder of the world. I have always been amazed about how all cultures used and teased their need for light in to everything they did. We “modern” folks take electricity and light for granted. Sometimes I think I was born centuries too late. Looking at creations of the past often makes me wonder what future peoples will think of us and the things we leave behind. When you look at the design Pantheon it seems obvious that the sun played an important role. I wish it still had the original statues in it so we could have a better idea of what it looked like. Maybe one day it can be restored to it’s original form.